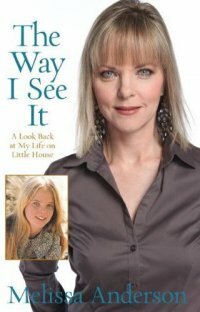 I arrived back in Northern America, turned on the ‘Today Show,’ and was delighted to see my friend Melissa Anderson promoting her new book ‘The way I see it.’ I can’t wait to read it! Most of you will remember Melissa from her role in the classic TV series ‘Little House on The Prairie,’ where she played the pivotal role of Mary Ingalls who went bind in season four and set new television rating levels in the two part episode, for which she was Emmy nominated. In those days she was Melissa Sue Anderson. The book is about her take on the years she spent in the ‘Little House’ and should be great reading. Melissa is doing a massive promotional tour to support the release of the book. I was lucky enough to interview Melissa on my television series ‘The Entertainment Files’ and I have posted it here for your enjoyment. Multi-talented and wonderfully articulate I suggest you order your copy of the book from Amazon if you can’t get to a book signing. It is also a perfect Mothers Day gift for this year! It is sure to be very appreciated and bring some joy to a mom who has a soft spot for this very special series. I am excited to follow this new direction in what is already a very distinguished career. Check out her official Facebook Fan Page check it out at Melissa Sue Anderson Fan Website and check out her book signing tour itinary. ~ by Nick Lewin on May 4, 2010.